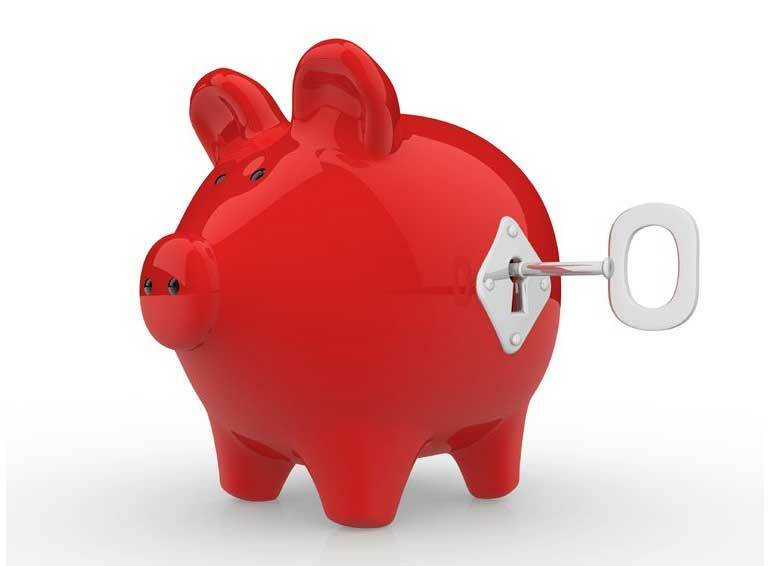 If the financial crisis taught us anything, it's that we need to think ahead to keep our savings safe. At Money Dashboard we want to help you manage your money so you can feel confident that it's secure in a financial emergency. That's why we've come up with some tips to help you ensure that your money doesn't disappear if the banks face tough times again. Government-owned banks guarantee 100% of the savings they hold. Since Northern Rock returned to the private sector, there's now only one state-owned savings bank: NS&I. NS&I offers savings accounts, ISAs and Premium Bonds, which effectively run a monthly prize draw instead of giving you interest. Typically these have lower rates than private sector competitors, but at least you know your money is being kept safe. It's not only state-owned banks that have safeguards. In fact, if you have savings of less than £85,000, you'll be completely protected by most high street banks. That's because all institutions that are regulated by the Financial Conduct Authority (FCA) are covered by the Financial Services Compensation Scheme (FSCS), which guarantees savings of up to £85,000 in the event of a financial collapse. The main types of account protected by the FSCS are bank/building society accounts, self-invested personal pension (SIPP) savings and cash ISAs. FCA-regulated institutions are listed here, and foreign banks that are also eligible for full protection are listed here. Make sure you're covered before signing up. If you have over £85,000, it might make sense to open accounts with several providers. This is because the FSCS protects up to £85,000 per institution, meaning that you can be covered multiple times by spreading your savings across different banks. The only time this gets tricky is when one conglomerate owns multiple banks. For example, Halifax, Lloyds Bank and Bank of Scotland are all part of Lloyds Banking Group, so opening an account with each of those three banks would still only cover you up to £85,000. Whereas having accounts with Halifax, Nationwide and NatWest, for example, would give you up to £255,000 of cover, so it pays to check. Investing your savings will always be a balance of risk and returns. High rates from foreign banks, innovative new schemes like peer-to-peer lending or even investing in stocks or bonds yourself can provide excellent returns that maximise your savings. But they must be weighed against the risk. Get it right, and your savings can skyrocket. Get it wrong and, as savers with Icesave found in 2008, you can lose out. Ultimately, it's wise to ensure that you only risk what you can afford, and that the rest is well-protected. When savings are lost in a crisis or collapse, debts can continue to grow. If you owe money, whether it's through a loan, overdraft or mortgage, one of the most effective ways to get value from your savings is to use them to pay off your debts. By removing the debt, you're also removing future interest payments, which means that you're not losing money. Money Dashboard's free software can help you work out how to clear your debts with your rainy day funds, with a clear view of your finances all in one place. It may seem scary to spend your hard-earned savings in the short-term, but in the long run it can be a much safer way to ensure value from them.